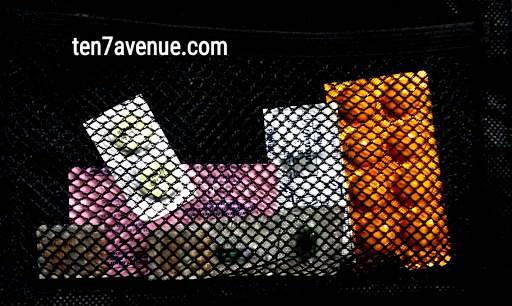 Yes, bringing your own medicines especially for emergency reasons is a must. Traveling means you need to move around and there is the first acquaintance of the place, unless it isn't the first time - finding a drugstore may consume time when you need it the most. Also, bringing your own emergency drug will keep you confident that whatever happens during the trip, you know that you have brought medicines suitable for you. 2) Ibuprofen. I have this just in case I meet headache. Paracetamol can help though. 3) Vitamin B Complex. Who says that it is just for old people? You can also take this to help your nerves refresh from a day's walk. 4) Loperamide. Oh yes, you surely need this. There are instances that you come to a very interesting place with so much food to taste. Your stomach might be upset. Oh yes, that's something you don't want to happen - getting in and out the restroom. 5) Simeticone. I have tendencies of not tolerating acidity, yes, I become hyperacidic. My tummy gets discomfort, lips cracking and hello restroom. This will surely help a lot. 6) Nasal decongestant. There are tendencies that you will experience change of weather from tropical to cool weather. Then raining then it becomes hot. Hello to colds by then. Bring something of medicine of your choice, I usually choose Forte. It helps me to sleep/rest. 7) Calmoseptin. I use this as a wonder ointment. I can use this on insect bites, burns, scratches and even pimples. Lol. Okay, this is like a cream but this is an ointment, but this is very good for skin irritations. 8) Katinko. It is a Chinese ointment which I feel comfortable to use. Its methol is really soothing. It also helps me when headache strikes and on insect bites to stop more itchiness. Thank you for visiting my avenue, www.ten7avenue.com. Enjoy!